Join us in creating a mammoth, unparalleled artistic gesture. This is your chance to leave your mark on the desert. Fabrication has now reached the final phase: moving boulders from the quarry to the installation site. 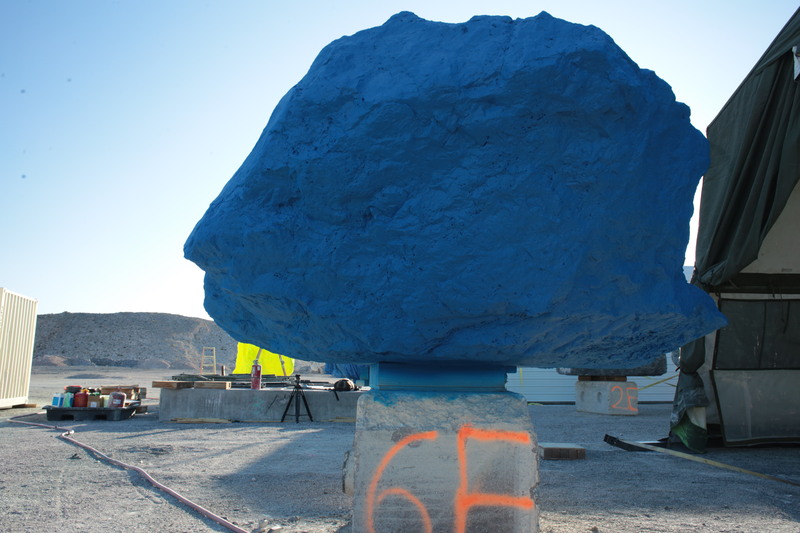 For this monumental task, Art Production Fund, and Nevada Museum of Art are asking for your support in making this massive public art project a reality. Some say that moving mountains require supernatural strength. We think an engaged community of fervent supporters working together can summon such strength. How does one move Seven Magic Mountains? One boulder at a time. And with a little help from our friends. Your participation in this Kickstarter campaign will provide the funding needed to erect Seven Magic Mountains into the desert landscape.